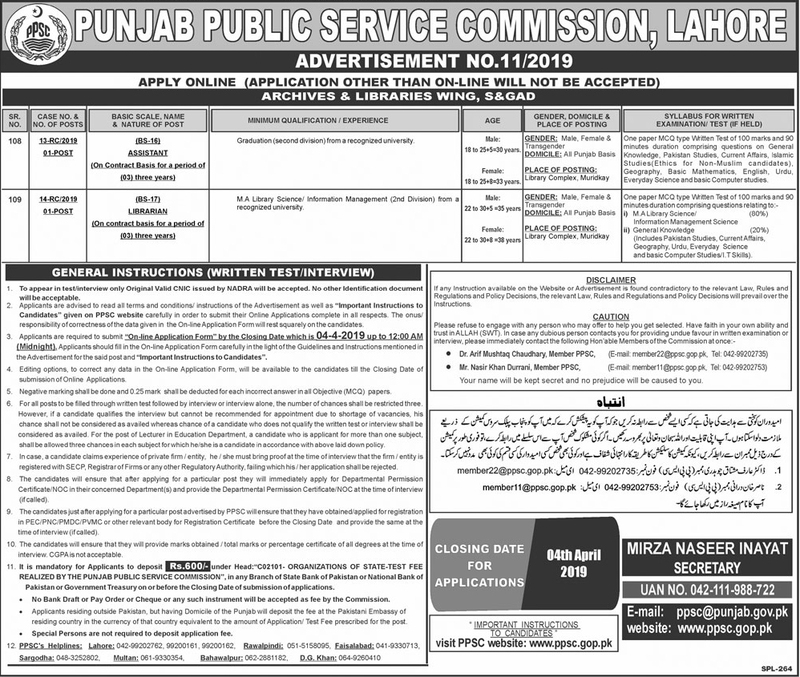 Today I am going to tell you about PPSC jobs 2019 that are Announced for Assistant & Librarian invited applications from to eligible and qualified individuals for given posts. Therefore, Applicants should fill in the Online Application Form carefully by visiting the Official website of PPSC. 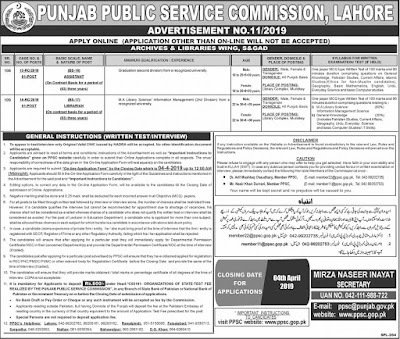 PPSC New Advertisement No.11/2019.The Punjab Public Service Commission has announced the best jobs for Assistant & Librarian. If you have a graduation degree within any sub-section, && have an M.A Library Science degree you are suitable for this job. If you are unemployed and want to get a suitable job in the government, then you should apply to these jobs. To apply for the Librarian job you should have an M.A Librarian degree & to apply Assistant job should have a Graduation degree in any subjects. Men and women are eligible to apply both in PPSC assistant's job. You must be 18 to 38Years old to apply for this job. You can visit the PPSC Official Website to apply for an Assistant & Librarian job. Before applying for these jobs, you will have to deposit the Rs. 600 rupee to the National Bank or State Bank. You have any questions in mind, you can ask about this job.